The Gulf of Poets is snuggled between two promontories between which lies the city of La Spezia. All around an amphitheatre of hills and mountains forms a scenic backdrop. The high, jagged coastline hugs peaceful bays in protection against the wind, where enchanting little ancient towns take their stand. The beauty of these places has been celebrated by poets, writers and artists, who have long been attracted to this coast and the savage sweetness of its landscape and climate. This itinerary can be done in a couple of days, but it is worth staying overnight to calmly explore the gulf villages or even relax in the sun on one of the Gulf beaches. You can choose from many hotels in Lerici and Portovenere or you might decide to go for the simple and discreet charm of a typical inn. For those looking for something different, theres an excellent selection of inviting bed-and-breakfasts in Lerici and Portovenere. 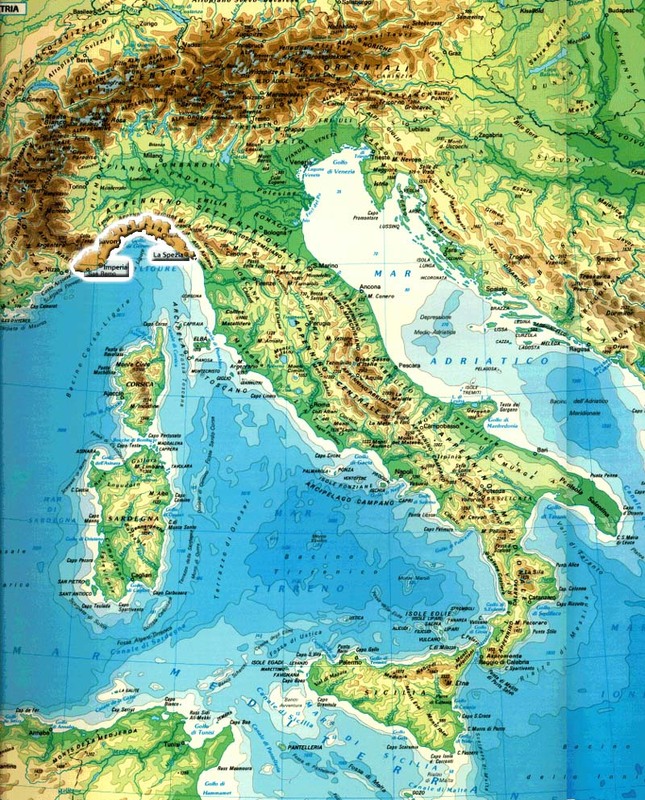 How to get there: The Gulf of Poets can be reached via the A12 motorway, to La Spezia, then following directions for Portovenere or Lerici. If you are coming by train, get off at La Spezia, then take the public transport service. There is a sea service in the summer that links La Spezia with the Gulf localities. • Portovenere is a fortified town with Genoese influences rising high from the end of a promontory amidst a unique landscape. The town has received World Heritage status from Unesco. It is dominated by Doria castle, which is open to visitors. From the hill, the narrow "carruggi" or alleys go down to the sea. On the tip of the promontory exquisite Portovenere stands proud, with Saint Peters church, built in 1277 in Genoese gothic style, with alternating bands of black and white stone. The Island of Palmaria lies in front of Portovenere and is well worth a visit. A rocky, triangular-shaped island, today it is a natural park, boasting cliffs, coves and charming little beaches. • La Spezia is a modern-looking city with a nineteenth-century feel and a matrix of wide roads, gardens and art nouveau architecture. This urban design is the result of a radical change to the city occurring in the second half of the 1800s, when the Savoys built the large Maritime Military Arsenal. Today, La Spezia is still the most important naval base in Italy. The city has a remarkable wealth of museum resources of which Travelplan recommends the new CAMeC, museum of modern and contemporary art, and the Naval Museum. • Lerici stretches out over the eastern side of the Gulf. An Etruscan city and an important port of call in Roman times, in the Middle Ages it was long the bone of contention between the Pisans and the Genoese. In the 17th and 18th centuries noble shipowning families built luxury palazzos and villas there. In the 1800s Lerici was the favourite destination of the English literati; Mary Shelley and D. H. Lawrence lived here. The village is dominated by the Castle, considered one of the most beautiful in the whole of Liguria. It was built in several stages between the 13th and 14th centuries and remains in excellent condition. Inside it houses the fascinating Museum of Geo-Palaeontology, with reconstructions of prehistoric scenes, reproductions of dinosaurs, marine and land fossils and a seismic simulation room. Lerici is one of the favourite destinations of sea sport enthusiasts. In the protected and ventilated bay you can see dozens of sailing boats, windsurfers, canoes and catamarans. All along the coast are superb views of reefs alternating with small stony or sandy beaches. The shoreline is clean and well-looked after. Many beaches along the coast have been awarded the Blue Flag. Just ahead of Lerici lies the characteristic town of San Terenzo, beautifully positioned above the bay. Don't miss the 15th century castle, which houses a museum dedicated to Shelley. The castles of Saint Terenzo and Lerici are connected by a pretty walk. The last stop on our itinerary is the medieval village of Tellaro rising up on the rocky tip of the eastern extremity of the Gulf. The townlet is a real jewel of Ligurian town planning: the walls surround the village with its narrow "carruggi" or alleys and pastel-coloured tower-houses, while the church of Saint George, dating back to the 1500s, dominates the village square. Before you leave the Gulf of Poets don't forget to try two sea specialities that are particularly delicious in these parts. Mussels, cultivated for over a century in the waters of Portovenere, and the exquisite Tellaro octopus. Why not wash it all down with a dry white wine from the Cinque Terre or Colli di Luni?